Ducati rider Andrea Dovizioso insists falling 16 points behind main MotoGP title rival Marc Marquez in Sunday’s Aragon Grand Prix is “not a drama”. Having arrived in Aragon level on points with Marquez, Dovizioso slipped to a seventh-place finish at the Spanish track despite running third in the opening laps. 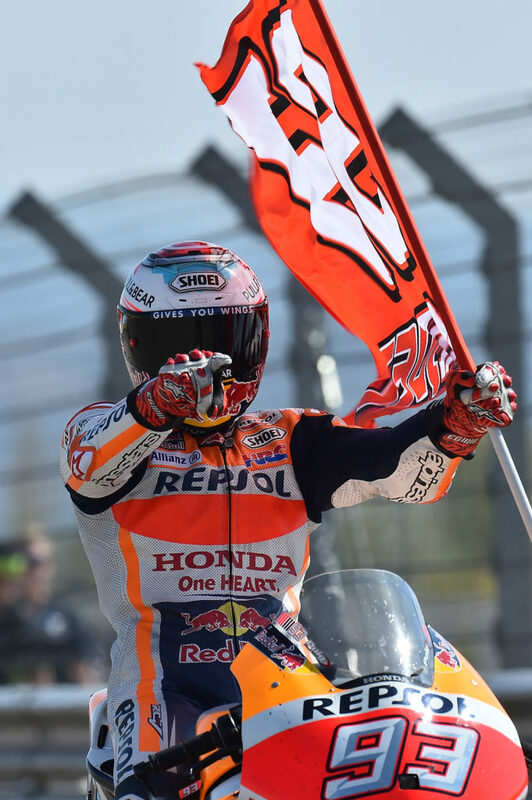 With Marquez scoring a fifth win of the season, it means the Honda rider has opened up a 16-point lead at the head of the standings with only 100 available in the final four races. Yamaha rider Maverick Vinales lies third, 28 points adrift of Marquez. While conceding that overhauling Marquez between now and the Valencia season finale will be “difficult”, Dovizioso insisted the Aragon race doesn’t spell the end of his title ambitions. “For sure it’s not the best, we lose points,” said the Italian. “But we know the points we can gain in four races. It’s not a drama. “It will be difficult, because Marc is so fast in any conditions in any track. Maverick is really strong. For sure it will be difficult. “But I think we have our chance and for sure we will try until the end. “The good thing about this championship is in any moment you can change the reality. That is nice. Sometimes it’s negative, sometimes it’s positive. 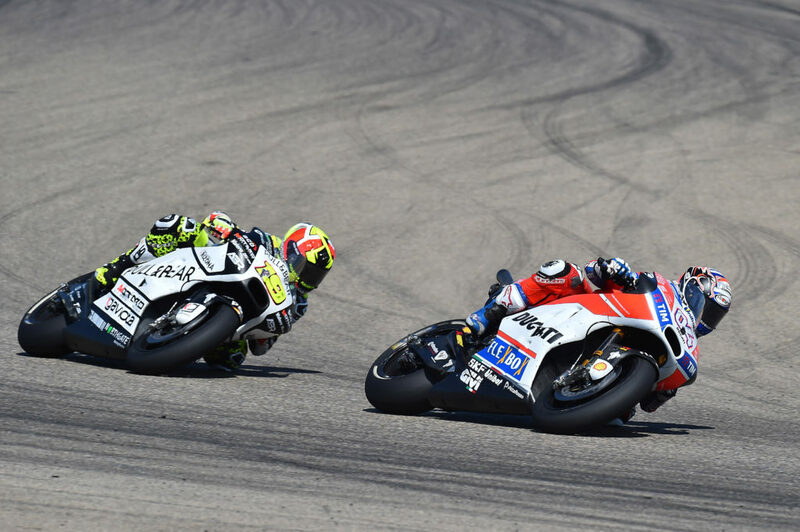 Dovizioso chose the soft rear tyre for the Aragon race, but said this wasn’t the cause for his disappointing race, as teammate Jorge Lorenzo made the same selection and finished third. Instead, the Italian said his issue was he losing ground at three specific points on the track – the long Turn 10 downhill left-hander, the Turn 15 left-hander leading on to the back straight and the final corner. “What happened was in the race I had three corners especially where I lost a lot,” Dovizioso explained. “Turn 10 it was the turning, Turn 15 it was acceleration, especially the wheelie, those two corners I lost a lot. Also the last corner I lost a lot, too much. “And that created the problem, because in the race nobody could push because everybody had to save the tyre and not use 100 percent the rear tyre. “But after 10 laps, Jorge started to push even more and Marc overtook me, I had to use the rear tyre to try to stay with them. So I finished the tyre too early and I couldn’t be fast in the last 10 laps.